Uplift just published a short article on this amazing woman of character, passion, transparency and strength. I am passing some of their words on to you for inspiration – and to challenge YOU to mine the depths of your heart and soul for your own unique answers to these questions. “Born in St. Louis in 1928, Maya Angelou had an unmistakable rhythm to her soul, a deep strength that held her up and the ability to make words dance. Just like a phoenix, she faced adversity in her life, and rose, again and again, from the ashes. Having lived her life to the fullest against all odds, Maya Angelou fought to show the world the truth of what she believed– that every life counts and “it takes each of us to make a difference for all of us.” Today, we’re sharing inspiration from the great woman herself, so that we can all rise together. I learned a long time ago the wisest thing I can do is be on my own side, be an advocate for myself. I’m a woman. Phenomenally. Phenomenal woman, That’s me. A wise woman wishes to be no one’s enemy; a wise woman refuses to be anyone’s victim. We have to confront ourselves. Do we like what we see in the mirror? And, according to our light, according to our understanding, according to our courage, we will have to say yea or nay – and rise! I’m convinced of this: Good done anywhere is good done everywhere. For a change, start by speaking to people rather than walking by them like they’re stones that don’t matter. As long as you’re breathing, it’s never too late to do some good. The most important thing I can tell you about aging is this: If you really feel that you want to have an off-the-shoulder blouse and some big beads and thong sandals and a dirndl skirt and a magnolia in your hair, do it. Even if you’re wrinkled. I am because everything else is. I am in everything and everything is in me. The wilderness outside of me is inside of me. Unified as one continuous thread of life weaving a tapestry of intricate and astounding beauty, complexity……and simplicity. “What is the body made of? The ancient elements. The same minerals we find in clay, in sand and mud, the stuff of earth. We share limbs, arms, and trunks with the trees. The dendrites of nerve cells and the bronchiole of the lung are both named for their resemblance to the branches of trees that extend in finer and finer lines from the central trunk, the main axis. Can you sense that your own spine is like a tree trunk, a ladder connecting ground and sky, heaven and earth? There was a video posted here (and where the quote came from) that was a strong declaration, via older women’s wisdom, about the importance of “being” versus “doing”. Within a short period of time the video was not to be found anywhere and was not accessible. Perhaps it is my lack of competency in the technology of internet, but for whatever reason it is a loss not to have it posted here. Instead, the quote above speaks for itself in a multitude of domains in our lives no matter what age we are. Not simply about “dancing” but how we live our lives. This past week I experienced the death of a much older brother. Within the space that was created by his transition I realized once again that it is not death that is our “enemy”, but instead not fully living in the moments we are given and blessed with. By far the more serious potential regret. Living life as fully expressed women as if every moment was your last – being open and present to what is unfolding without any “hold backs” – is by far the wiser choice for a testament to the fullness of your Being this time around…. The first time I viewed this video I was most certainly taken by the beauty of the images and the prose. Even captivated by the woman’s voice that held the hint of being from some “exotic” place. But what took me down into the deeper reaches of my soul as a woman was something that remained a little more challenging to articulate. Tears welled up every time I watched this and the “why?” somewhat escaped coming to form in language for awhile. But then I felt it in my cells….an emergence of the feminine – in myself and all women across the globe – in a way and form that this sacred planet we live upon is ever whispering to each and every one of us no matter where we live or what situation and circumstances we find ourselves in. Rising up….EMERGING….as interconnected feminine power, creativity, wisdom, and courageousness within each of our unique structures of being. And what made me weep was the knowing that we are not alone in this rising up. We never have to be alone as we mine the depths of who we are – our calling and purpose, our vision and creative outpourings – and through that congruent alignment automatically create a space for other women (and men) to move towards us and touch in for awhile….or a lifetime. To collaborate, inspire, hold and vision…..united in taking effective action from a space of Being. I invite you to watch this video daily for 21 days and embody it’s message. Listen deeply to what is wanting to emerge from within…..and take a step directly into the heart of it and then out into your life and the world! I have always, since a small child, resonated with the natural world around me. It simply felt an extension of myself, deeply connected to the Source of my being. This sacred connection has continued on into adulthood. I expect that it will always be there right up to that last embodied transition into death. 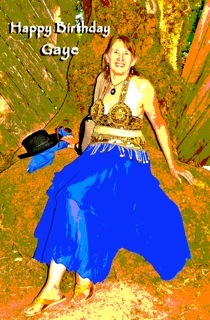 Returning back into the Earth, encouraging other life into creation. Without this connection nothing makes sense! This is why I was thrilled to recently read Reclaiming The Wild Soul by Mary Reynolds Thompson. The content of this book gathers it’s impact from a very large contextual space. A space returning us to nature’s landscapes that hold, nourish and inform us of who we are in every moment of our lives, and intimately connect us to the elements that we are made from. Delving into the wildness of this poetic prose of a book brought me “home”. Home to the elements that make up the “wild being” of who and what I am. The elements of Earth’s scared natural world, calling out to us so powerfully at this time in our planet’s history to come back “home” to the inner landscapes of our wild souls – reconnecting and communing in ways that shift the delicate balance back from the ego’s domestication, taming and destructive actions – into a natural state of cohabiting harmony in intimate and deep listening relationship with the Earth. I could not stop reading this exquisitely powerful book, and am now on my second read through, stopping to ponder and inhabit the landscapes and the words that flow through me onto the journal page. At times I was reminded of John O’Donohue’s writing that draws us in to a much larger context from a place of simply Being. 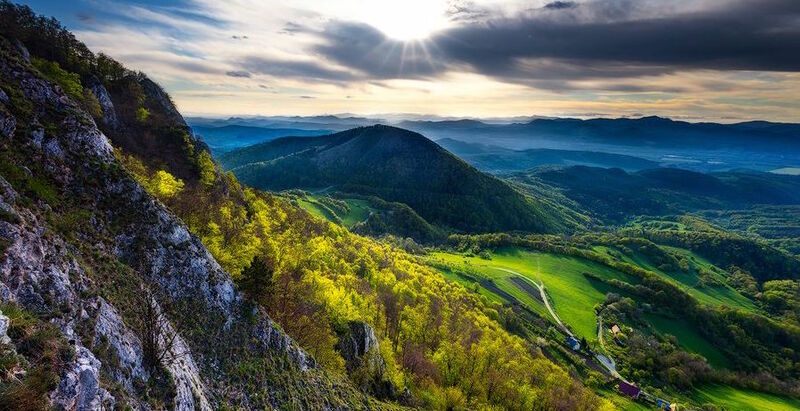 It is not just a “healing” that needs to happen here, but a complete return to absolute devotion to the wild landscapes and elements that bring us life with every breath we take. 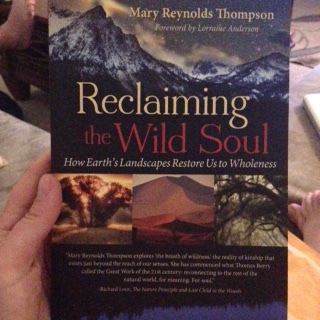 Mary Reynolds Thompson has brilliantly succeeded in opening that space for us to explore within and without, guiding us to take effective and conscious action from the wildness of all life – from the depths of our souls. 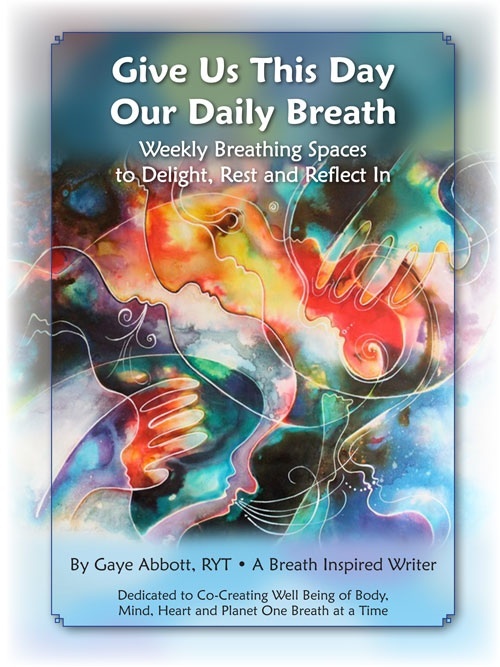 Gaye Abbott- Author of Give Us This Day Our Daily Breath, Weekly Breathing Spaces to Delight, Rest and Reflect In. A few days ago Mary Reynolds Thompson blessed many globally with her presence on an introductory conference call sponsored by Tree Sisters. You can listen to this same call by clicking HERE and also learn about a 6-week on-line course entitled A Wild Soul Woman: A Journey Into Your Untamed Self . Are you a Wild Soul Woman? Are you ready to embody and express from your wild soul—the part of you that knows you are one with rivers, forests, and mountains? Are you ready to break free of the fears and cages that hold you back? Are you longing to experience yourself and Earth as the powerful, embodied Feminine? If yes – then this course is an invitation your wild soul has been waiting for. that leaves me like a needle in the haystack of Light. It was what I was born for – to look, listen, to lose myself inside this soft world – to instruct myself over and over in joy, and acclamation. Nor am I talking about the exceptional, the fearful, the dreadful, the very extravagant – but of the ordinary, the common, the very drab, the daily presentations. Oh, good scholar, I tell myself, how can you help but grow wise with such teachings as these – the untrimmable light of the world, the ocean’s shine, the prayers that are made out of grass? In this very moment, unwinding breath through the undulation of an arm, soft round curve of hip and breast, the texture of ground beneath bare feet. 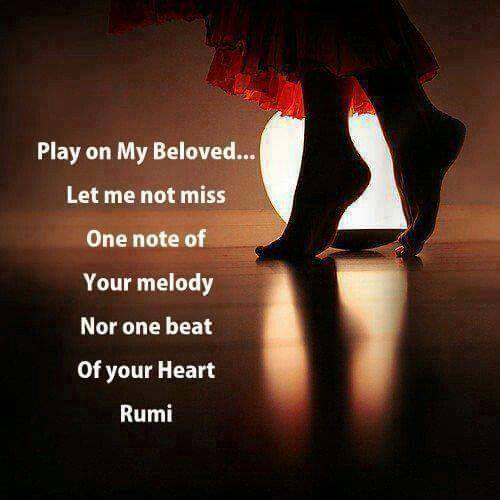 Slippery, pulsating, flowing, throbbing – each note of music guides, leads, and then drops back behind, in front, within and to the side of the dancer and the danced – as if the story being told, the breath being breathed, is the universal connection to each other…… to God. How is it that we as women leave our soft, sensual animal bodies behind on the shelf when we step into our days? Will we, at the moment of our death, feel the panic that we haven’t given ourselves permission to explore and intimately embody what it feels like to walk as a courtesan to life? This morning, after six months of being away, I joined the ecstatic dance community to celebrate the freedom and joy of movement unrestrained by any rules, regulations, or techniques. The simple request is to remove shoes, stepping with untamed presence onto the dance floor – the agreement with ourselves and each other to explore this soft, sensual, alive animal body that we have been given. To find the joy in simply unfolding what presents next, partnered with deep listening and possibility. How linear our lives, our thoughts, our conversations can be if we forget to breathe and explore into the space of sensual and earthy curves and valleys in belly, pelvis, back and thigh. Opening our eyes, faces, and hearts to each other to be recognized as our soul’s calling. Claiming a willingness to “get lost” and voice pleasure within day to day tasks – moving in circles and spirals, leaving behind the linear patterns that are almost never what is asking to unfold – and embracing the sacred geometry of life as it really is……. This last month I have come right smack up against the reality that I am no longer “young” in age and that this wonderful body is breaking down a little bit. This “break down” comes at a time when I am enjoying life tremendously and feeling the absolute freedom of being in elderhood. When I found out that one of my knees had osteoarthritis and a small lateral meniscus tear it was a wake up call and a reminder that bodies do indeed break down a bit over time no matter how well we take care of them. For some of us there are many more health challenges that we face, but in spite of those very challenges the human soul that lives within still wants to party! By that I mean live life in the fullest expression possible. Today I came across a most beautiful project by Lauri Schur called The Beauty of Aging. 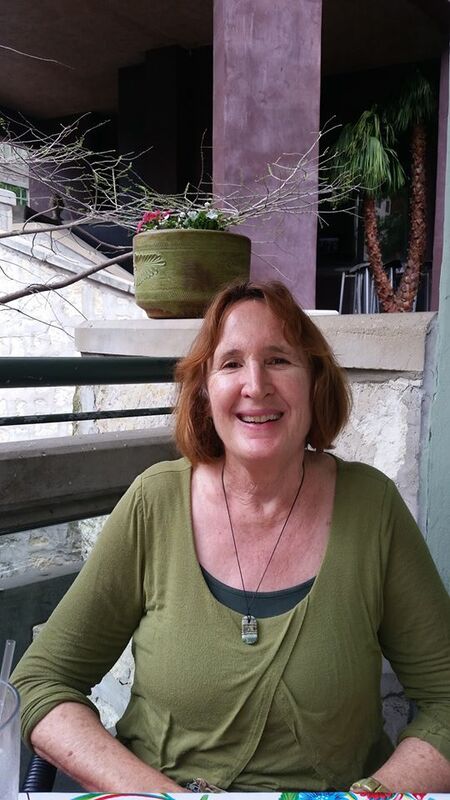 Lauri, a once upon a time psychotherapist, took her life in a new direction when she decided to find inspiring role models for her own aging process and that of other women. 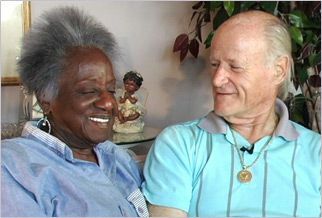 The outcome of this is a one hour documentary film called The Beauty of Aging staring vital women over 80 years old. Live life fully. Spirituality is important. Sexuality continues into the older years. Dance and be active. Service to others is essential. Creativity is important. Meaningful relationships and loving people matters. Having a sense of humor is helpful. A good attitude and adaptability are crucial. These women were a generation, or more, before me and as far as I am concerned have paved the way for the multitude of baby boomers, men and women alike, to co-create the best time of their lives in the last portion of a life well lived!